As you use a hot water heater to warm the water in your household, "bleeding" your tank helps ensure the system continues to work well. 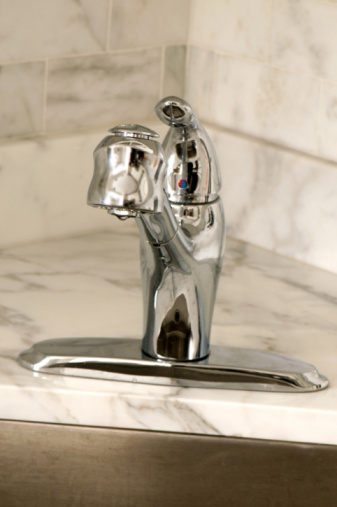 Bleeding helps remove mineral deposits that settle at the bottom, which potentially affects the heating capability. Your tank needs to be bled at least once a year, but if your hot water heater experiences a lot of sediment buildup from hard water, perform this biannually. Use a few household items to bleed your hot water heater and extend its life. 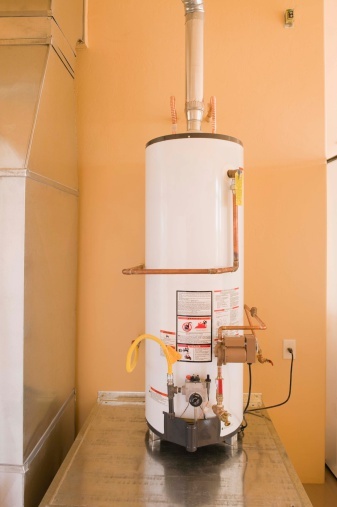 Bleed your hot water heater to keep it in good working condition. Put on a pair of gloves and safety goggles to protect yourself from the hot water of your heater. Lay newspapers underneath the heater's threaded nozzle (drain valve) to protect your floor and attach a garden hose to the valve. Allow the hose to run outside, or position a large bucket underneath the hose's opening to catch the water. Turn off your heater using the "On/Off" control switch, which is typically located toward the bottom of your tank. Switch off the cold water inlet (labeled "cold") on the heater. Set a gas water heater's valve to "Pilot," or turn off the circuit breakers if you have an electric system. These precautions ensure the heating elements are not affected during the bleed-out process. Use a wash rag to cover the drain valve opening and then slowly turn the valve to the left to open it and begin the bleeding process. Wait for the hissing noise as the air escapes, and then allow the water to run until clear. The water appears as a milky color due to the sediment being released. Close the drain valve by turning the handle back to the right and remove the garden hose. Turn the cold water inlet back on and then move the gas water heater knob back to the "On" setting. If applicable, turn the circuit breakers back on.